By 2050, nearly 10 million Americans will be dealing with blindness or vision loss, and an alarming 70 million older adults will face a major eye condition that could lead to vision loss. To address this problem, the Massachusetts Association for the Blind and Visually Impaired (MABVI) is hosting "Solutions in Sight, A Summit to Address the Vision Loss Crisis" on Wednesday, May 4, 2016, at the Microsoft New England Research & Development Center in Cambridge, Massachusetts. For any other health related impairment, this would be considered an epidemic. By 2050, nearly 10 million Americans will be dealing with blindness or vision loss, and an alarming 70 million older adults will face a major eye condition that could lead to vision loss. The statistics are staggering, and translate to a dramatic jump in health care costs. Within the next three decades, the prevalence of vision loss is expected to grow by 135%—from 4.4 million to more than 10 million people—costing us billions in health care costs and lost wages. 62% of individuals who are blind or visually impaired are unemployed. For any other health related impairment, this would be considered an epidemic. 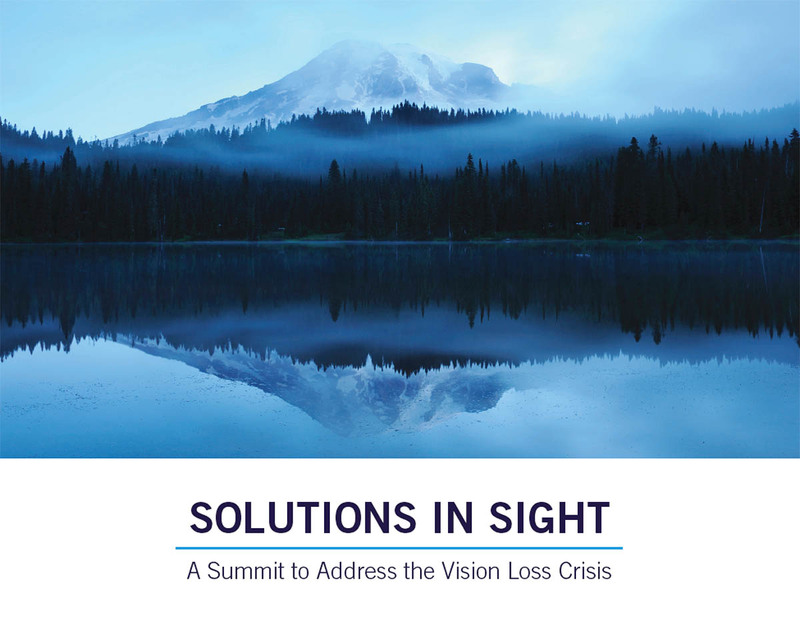 To address this problem, the Massachusetts Association for the Blind and Visually Impaired (MABVI) is hosting Solutions in Sight, A Summit to Address the Vision Loss Crisis, the first conference of its kind, on Wednesday, May 4, 2016, at the Microsoft New England Research & Development Center in Cambridge, Massachusetts. The Summit’s purpose is to start tackling the problems brought on by the growing crisis of blindness and vision loss among a rapidly expanding segment of our population, the so-called “Silver Tsunami”. This invitation-only event will bring together a diverse mix of professionals, government leaders, and social service organizers from the blind and sighted communities who have a common understanding of the needs of those with disabilities—many with specialties outside the field of vision loss—to craft new, outside-the-box solutions to the challenges facing people who are visually impaired. The goal is to leverage today’s advancements with unique perspectives, to transform services in the 21st century. To that end, MABVI has assembled innovators, entrepreneurs, and visionaries to discuss and evaluate promising avenues in all the sciences. Participants hail from fields as diverse as engineering, biology, behavioral science, mental and physical healthcare, and public policy. 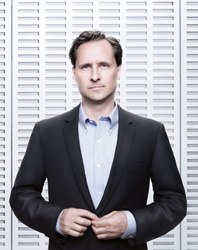 The Keynote Speaker will be Hugh Herr, head of the Biomechatronics research group at the MIT Media Lab, responsible for breakthrough advances in bionic limbs that emulate the action of biological legs. In 2011, TIME magazine named Herr the “Leader of the Bionic Age” for his revolutionary work in the field of Biomechatronics, technology that marries human physiology and electromechanics. Dr. Herr's compelling personal story speaks to the power of facing life challenges directly. How is the Next Big Thing in technology going to revolutionize blindness? Tech giants don’t specialize in blindness, but their commitment to accessibility has transformed many aspects of daily life for people who are blind. What’s next? Vision loss is one of the costliest health conditions. Why is no one talking about this? The vast majority of people who lose their sight are older adults, but vision loss isn’t part of the dialogue about age-friendly communities, workforce needs, or healthcare reform. Where’s the disconnect? How do we change what it means to be blind and employed? According to the National Federation of the Blind, there is currently a 62% unemployment rate among individuals who are blind. Why is this acceptable? After more than a century in the field, MABVI recognizes that vision loss doesn’t have to mean the end of a full life. Their expertise lies in helping individuals adapt to vision loss and learn to live safely with limited or no vision. Their unique medical-social model combines vision rehabilitation with peer support, education, 1:1 volunteer assistance, and professional counseling. They hope that this Summit, and others like it, will spur new research, and focus more funds, and public policy, on solving problems related to vision loss. "Solutions in Sight" will be held on May 4, 2016, from 8:00am to 3:30pm, at the Microsoft New England Research & Development Center in Cambridge. The Summit will hold panel discussions and working groups, moderated by experts in each field. Confirmed panelists include Kara Miller, Host and Executive Editor, Innovation Hub, WGBH and PRI; Suman Kanuganti, Co-Founder and CEO, Aira; Bilal Zuberi, Partner, Lux Capital; Erich Manser, Accessibility Tester and Consultant, IBM; Audrey Shelto, President, Blue Cross Blue Shield of Massachusetts Foundation; Paul Saner, Commissioner, Massachusetts Commission for the Blind; Scott Taberner, Chief of Behavioral Health and Supportive Care, MassHealth; Michael Festa, State Director, AARP Massachusetts; Ryan Knighton, Author, Screenwriter, and Speaker; Rebecca Alexander, Psychotherapist and Author; and Alice Bonner, PhD, RN, Secretary, Executive Office of Elder Affairs. Massachusetts Association for the Blind and Visually Impaired (MABVI) is the oldest social service organization in the country that serves adults and elders who are blind or visually impaired. They provide vision rehabilitation services and partner with community and medical groups to create high-impact, cost-effective services.